There’s been a bit of confusion about what’s actually vegan at Mama Fu’s (a chain pan-Asian restaurant). Since it was one of the restaurants in my Waco Vegan Guide, I wanted to check in with them to verify what was vegan. After an even more confusing email exchange with their customer service, I finally got a definitive answer from them, which I thought I’d post here for other people looking for this information. Shiitake Swerve, first announced in May 2012, is finally opening in Denton. This is, as far as I know, the only vegetarian restaurant in Denton aside from UNT’s vegan cafeteria Mean Greens. So this is a big effin’ deal. Their menu focuses on, surprise!, mushrooms, which you can get either in sandwiches or tacos. 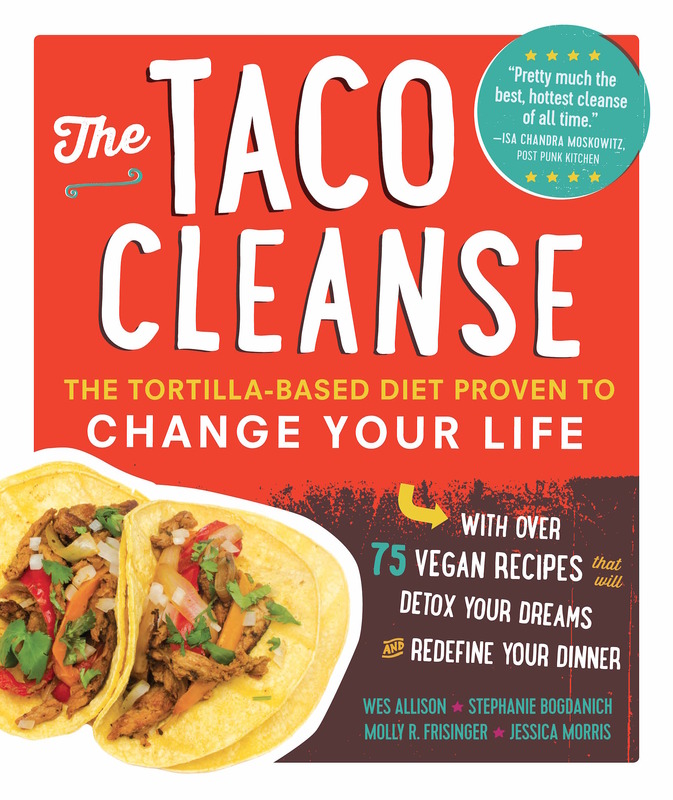 All of the tacos are vegan and most of the sandwiches are as well. And everything can be ordered gluten-free, if that’s your thing. Catch them at 35 Denton music festival and around town. Follow them on Facebook or Twitter to find out their current location. A number of vegan-friendly Texas restaurants are changing things around. 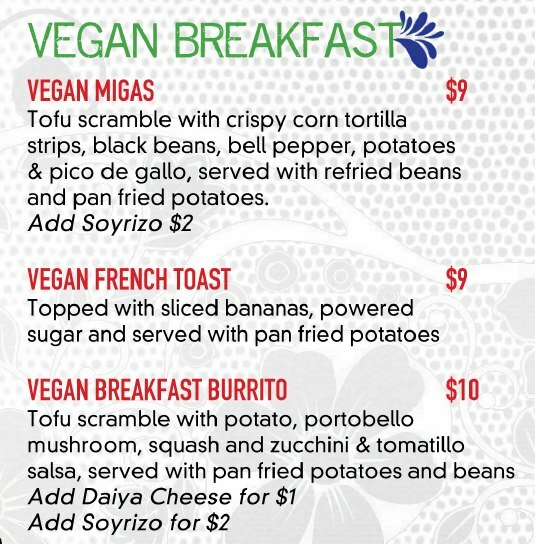 In Dallas, Hacienda on Henderson has added vegan brunch options to their already vegan-friendly menu. French toast sounds just about right to me. Dallas Vegan and MFA has been working with Hacienda on Henderson, and this just shows what big changes you can get by asking for more vegan options. In Arlington, the Loving Hut is changing format again. This time they’re scrapping their pasta/wraps/anything goes menu for vegan pizza. This makes two restaurants offering vegan pizza with cheese in Arlington (the other is Mellow Mushroom). The new menu debuts March 19. 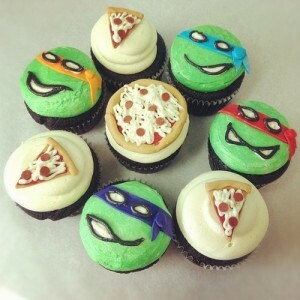 I can’t wait to see what toppings they’ll offer. And in San Antonio, Green Vegetarian has moved their Flores St location to the Historic Pearl Brewery. The new location is in a much more visible and accessible area. Menu and prices remain the same. In site news, Annemieke is the winner of the Vegan Bag of Tricks. Congrats! Let me know if these giveaways are something you want me to continue. A new restaurant carrying vegan cheese (at least some of the time) just opened in El Paso. The Healthy Pizza Company specializes in healthy pizzas on whole wheat vegan crust. 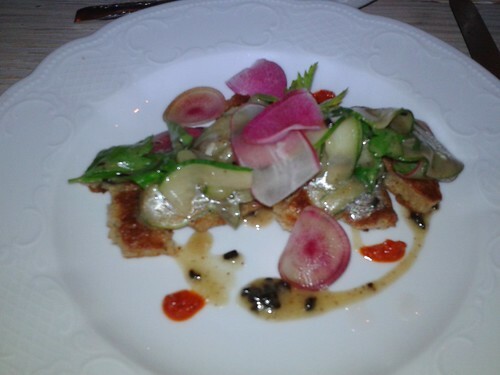 They have the usual vegetable toppings as well as hatch chili peppers and cucumbers. 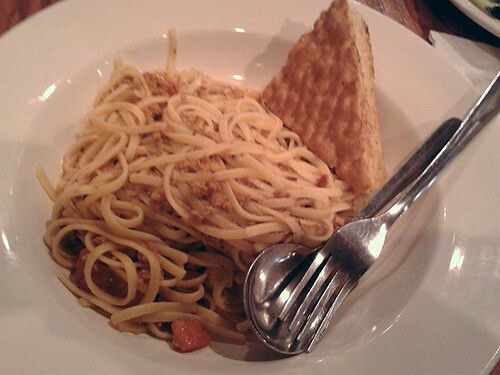 You also have the option of substituting hummus or olive oil for the traditional marinara sauce. I’m imagining a Mediterranean-inspired pizza with hummus, vegan cheese, sun dried tomatoes, cucumbers, and kalamata olives. The Healthy Pizza Company is located at 3800 North Mesa, El Paso, TX. Have you tried this pizza yet? Let me know what you think about it. Edit. See the comments below for more info. 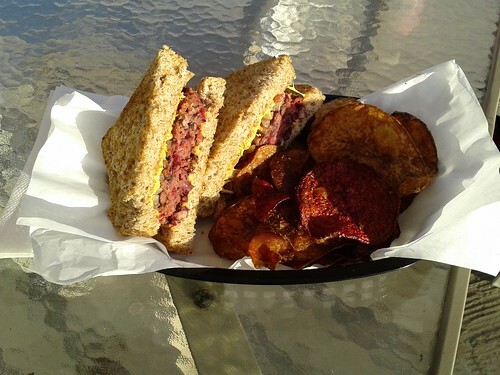 Have you been to the new all-vegetarian Austin Java in Tarrytown yet? The shopping center it’s in has had a rocky history, and fittingly, Austin Java Tarrytown is off to a bit of a rocky start. But underneath it all, there are good bones. The menu and kitchen have all the right ingredients they need to be awesome, and it’s obvious the management has a strong desire to get things right. 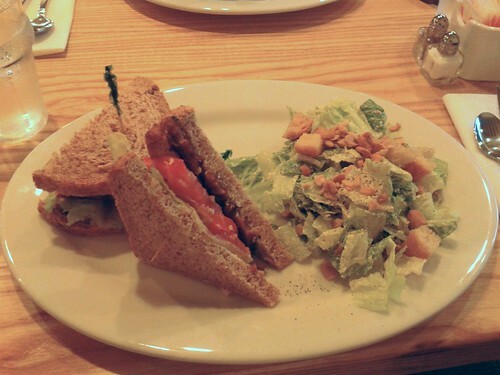 So here’s a snapshot of two meals my husband and I had at Austin Java recently, and a bit about the restaurant’s potential to be truly awesome. Our first meal was on a Friday night, and the place was almost empty. The server with talked with assured us lunch was a busier time for them. The seating and ordering confused me a bit. You seat yourself (according to the sign), but you order at the counter (no sign about that). But someone came and took our drink order as well, so that was additionally confusing. Your basic spaghetti with vegan meat sauce. Just about everything on the menu (pdf) can be made vegan. My husband ordered the spaghetti bolognese (i.e., spaghetti with meat sauce) and I got the Shroomage, a veggie burger with sauteed mushrooms and melted pepperjack cheese. My husband like his spaghetti pretty well. It’s a pretty basic dish and came out like he expected it to. Not much to say about that. There was some confusion when I tried to order the Shroomage vegan-style. The man taking my order asked me if I wanted vegan cheese. I said yes, that the burger should come with vegan pepperjack cheese (something that Daiya, the brand of vegan cheese Austin Java uses, does make). He told me that they only had cheddar. I pointed to the vegan jack/cheddar cheese mix on their menu, at which point, he said, yes, it’s a mix of cheddar and jack. In the end, my burger came out with Daiya mozzarella, cold, not melted as the menu claimed. The mushrooms were cold, too, and I suspect they came from a can or were soaked in water because they were pretty tasteless. 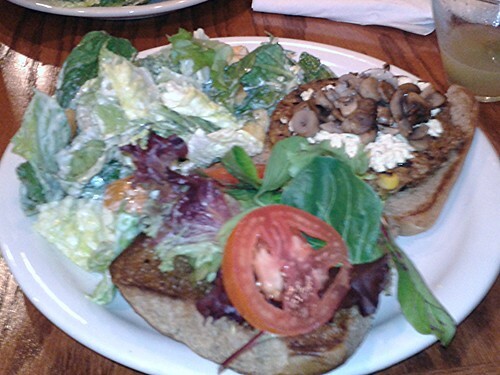 (I ordered a mushroom burger at Mr. Natural recently and that came with cold mushrooms, too. Maybe my mushroom expectations are too high? Do y’all expect warm mushrooms on a burger?) I liked my burger overall, but between the tasteles mushrooms, mozzarella cheese, and chipotle burger (my fault, I should have chosen the Veggie Patty), it just didn’t taste like what I expected. We came back to try out the breakfast menu, too. 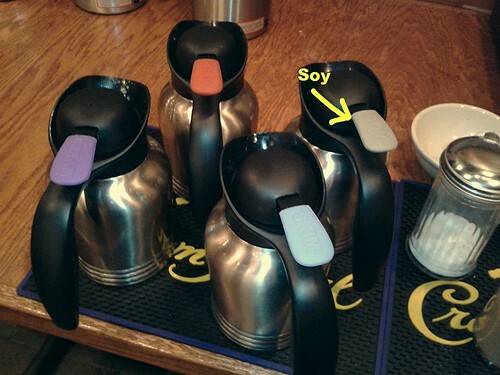 I love love love that you can put soy creamer–not just soy milk, but creamer–in your coffee. They also have rice and soy milk for making espresso beverages. The menu currently says they have Cool Whip as a vegan alternative, but beware that Cool Whip actually contains dairy. Vegan Chorizo and Potato Tofu Scramble. That dark bit you can see is a piece of chorizo. I decided to stick with something basic for breakfast, partly for comparison with other places around town and partly because of Lazy Smurf’s experience. I got a chorizo and potato omelet made with tofu scramble. So basically a chorizo and potato scramble. The chorizo and potatoes were good, but there weren’t much of them. Not enough to flavor the tofu. And overall, the scramble could have used a lot more flavoring. More oil, salt, some nutritional yeast, and a bit of cumin or paprika would go a long way. 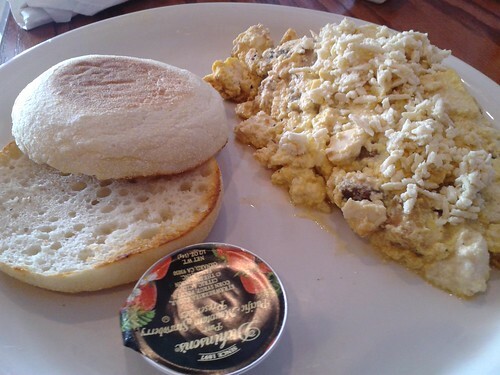 In addition, my English muffin came with butter (not pictured because I sent it back). I know this sounds like not a very good review, but I really think you should support Austin Java and give lots of feedback. 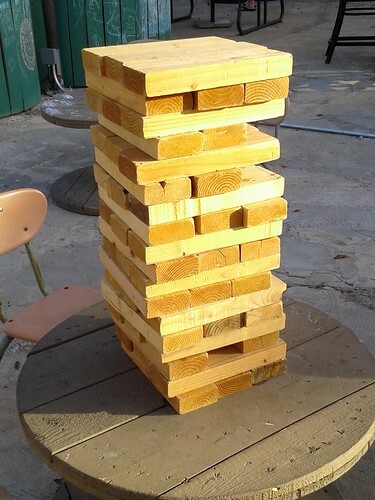 There’s just so much potential here. I can imagine Austin Java Tarrytown as a great place to go with a mixed crowd of eaters. It’s also not health-focused, which is good for variety. This isn’t the place to go for raw food and nut cheeses. I like salads and healthy food. A lot. But it’s important to have a mix of food styles to appeal to lots of people. Austin Java is also a really kid-friendly place, because of their menu, casual seating, and pricing (kids eat free Monday, Tuesday, and Wednesday nights). 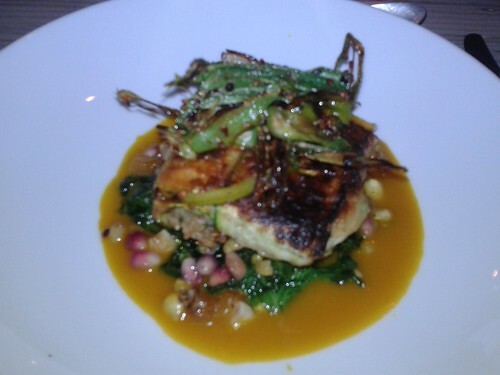 And the Tarrytown location is the only vegetarian restaurant serving hot food in West Austin. 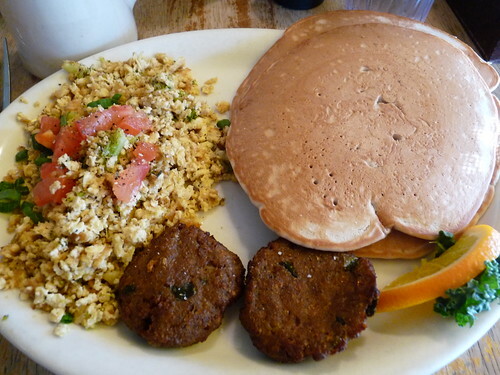 I think Austin Java Tarrytown will fill in a lot of holes in the Austin vegetarian/vegan food scene once they figure out how to approach vegan food. And I hope you’ll join me in offering them constructive criticism until they’ve reached their true potential. The new location of the Steeping Room on North Lamar opened on Monday. Steeping Room is one of my favorite brunch locations in Austin. I’m thrilled to have a location closer and, well, less associated with the Domain. Unfortunately, the Steeping Room is easing into its new location, which means no brunch for now. They want to get everything running well before they start serving the most important meal of the week. I took this as a sign that I needed to branch out and try nonbrunch meals. I went in for afternoon tea on Tuesday after a doctor’s appointment. 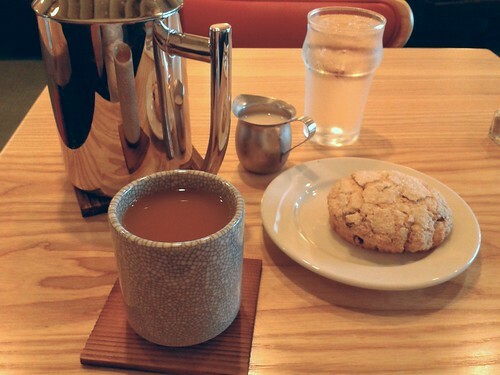 The rainy weather and the gloom of doctor’s office seemed to cry out for a hot cup of tea and a scone. So I obliged. The atmosphere at the new location is a bit less cosy and a bit more strip mall. But there’s an upside to “less cozy.” The tables at the Domain location are so crammed together, meals often feel communal. At the central location, you can have a juicy gossip with your fellow diners without including the strangers on your right and left. The tea pots at the Central location are metal, which isn’t quite as charming as the ceramic pots at the Domain. However, they seem to hold much more tea. I was drowning in Monaco Premium well before the tea pot was anywhere near empty. I asked for almond milk with my tea, though soy is also available. 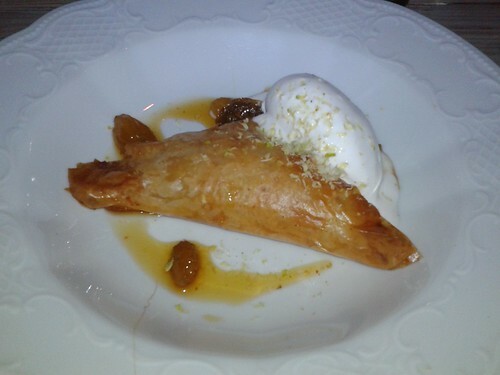 The scone, as always, was wonderful. 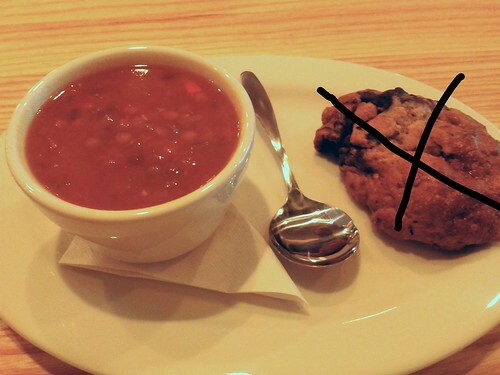 Some baked goods aren’t yet available at the new location, but the vegan scones were effected. The restaurant was a bit empty both times, so even though they’re still working out a few details with missing ingredients and baked goods, now is a good time to visit. My friend Megan at Henry and Zelda really loves the Steeping Room, too. Check out her posts about it here. 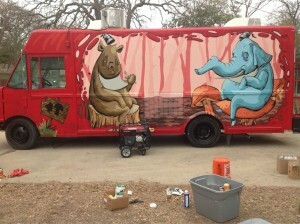 Austin has just been graced with another vegetarian, very vegan-friendly food cart. Good to Go is one a handful of trailers set up in a parking lot at 183 and Anderson called North Austin Trailer Yard, or NATY. When I first heard about this food trailer park, I was pretty skeptical. It’s an enormous parking lot surrounding by highway on two sides and a fairly busy road on a third. Not a tree in sight. Ugly, even by parking lot standards. But the NATY has transformed that area of the parking lot into something really pleasant. 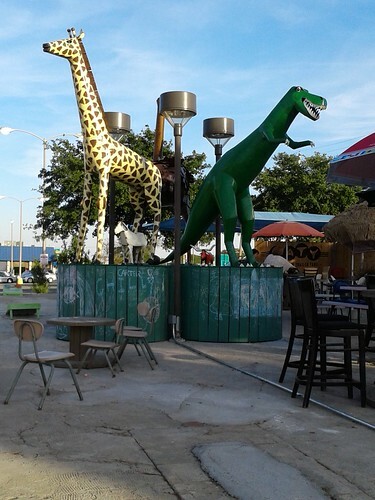 You’ll find giant statues of a giraffe and a dinosaur, oversized board games, shade, and just a bit of greenery on the edges. It’s really a nice little spot to eat your dinner. And now, that dinner can be vegan. 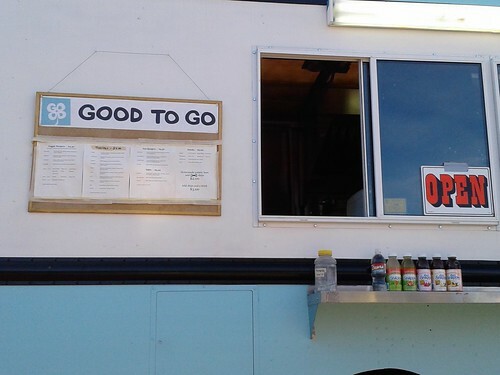 Good to Go (not to be confused with Good 2 Go) is a vegetarian burger spot. Nearly everything on the menu can be made vegan. Of their four (yes, four!) vegan burger patties, three are homemade. The fourth is the wonderful hemp patty by Good Seed. I tried a patty melt with the black bean burger. The toasted bread and grilled onions were right on. The patty was great. Though the sandwich was a bit dry. Mayo isn’t traditional on a patty melt, but the sandwich needs a bit of something like that to even it out. Or maybe a thinner patty. 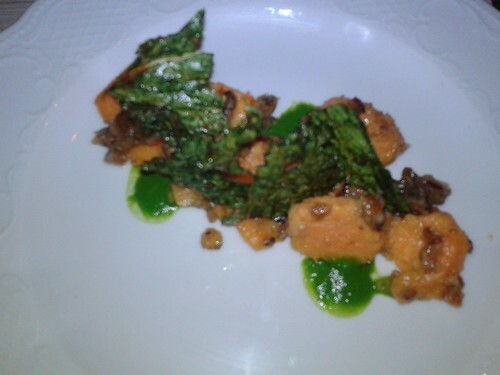 The star of the show, though, were the vegetable chips made from sweet potatoes, carrots, and beets. Crispy and just a bit sweet, they were indulgent without being greasy. I highly recommend a visit. I can’t wait to go back and try the the Thai burger, which features marinated daikon and carrots, veggie fish sauce, cucumbers, and spicy mayo, with an edamame patty. Any spot with vegan fish sauce is alright by me! It’s hard for me to believe I haven’t written about Biscuits and Groovy yet, but a quick search of the archives shows I haven’t. It’s a regular part of my brunch rotation now, but it took me awhile to warm up to it. For the first months they were open, their menu was in constant flux. First they were vegetarian (and vegan-friendly), and I was thrilled to support a new veg business. Then they added bacon to the menu, and I was crushed. Then they took it off. The menu morphed and changed multiple times. But, it’s finally settled down and I’ve adjusted my expectations. Biscuits and Groovy serves, as you’ve probably guessed, biscuits. The groovy refers to a music swapping program, though it’s also how they refer to their gravies. The final menu does include eggs, dairy, and meat. Sigh. But almost everything on the menu can be made vegan. (One pet peeve, they label things “real” or “vegan.”) Order yourself a few fluffy biscuits and cover them with anything from Daiya cheese or gravy to jalapenos or sausage. My favorite is the Gloria Gaynor ($9) with gravy, tofu scramble, Daiya, bacon, sausage, jalapeno, and chives, though often I’ll just order a few biscuits with jam (sadly, vegan margarine is the one alternative they don’t carry). It’s a pretty good deal at a dollar per biscuit. The food tends to take a while to make, even if you just get a biscuit with jam, but they have a fairly nice shaded area with green onions growing, which always gives me a kick for some reason. I spend my wait pulling the deal leaves off the onions and sipping coffee from Flight Path. 2. Bac’n Cheese Burger from Arlo’s Food Truck (Austin): This cheeseburger is like its greasy counterpart at a national fast food chain, except healthier and free of animal products. Instead of beef, the homemade patty sports lentils with plenty of gluten to hold everything together. 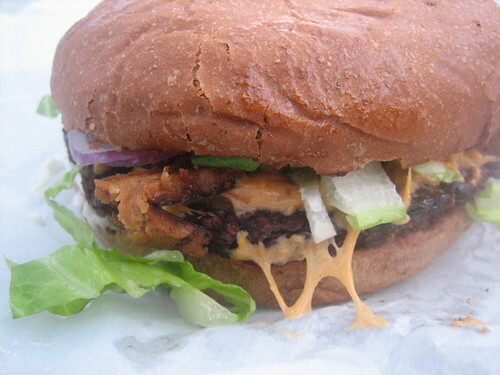 Add cheese, seitan bac’n, lettuce, tomato, mayo, ketchup, mustard, pickles, onions, and lettuce, and you might be humming that song all night long. 3. 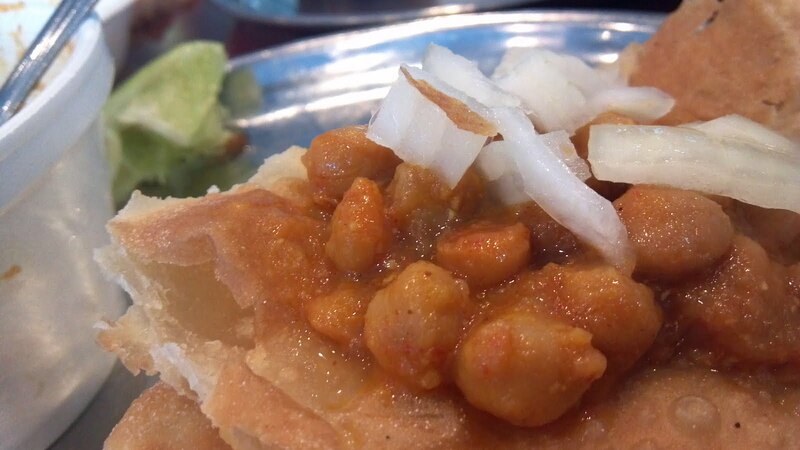 Chole bhature at Shri Balaji Bhavan (Houston). Vegan Houston calls this “the best on the planet,” which is pretty high praise. If you’ve never had this dish before, it’s North Indian chickpea stew with fried bread, and it’s as awesome as that sounds. 4. Chimichurri seitan wrap from Conscious Cravings (Austin): The quality of this wrap varies. On its good days, it’s my favorite sandwich. But even on its bad days, it’s worth eating. Chewy chunks of seitan dressed with chimichurri sauce, lettuce, tomatoes, onions, vegan mozzarella, and a squirt of sriracha, all baked up in a wrap that gets a bit crispy. 5. Neftacos Feliz from Zombie’s Food Truck (Fort Worth and Dallas): Named after Ranger’s pitcher Neftali Feliz, these tacos are the fan favorite at Zombie’s. Shredded seitan is served in a tortilla with all the fixings, including a drizzle of pepper pineapple ranch. 6. Pancakes at Kerbey Lane (Austin). Kerbey Lane isn’t the kind of place that makes you feel like family or the kind of place that leaves you writing embarrassing love notes about your meal on Yelp. It’s the kind of place where you can get vegan pancakes at 3 AM and slather them with Grade B maple syrup. And really, what else do you need from pancakes? 7. Kale salad from Central Market (Austin, Dallas, Forth Worth, Houston, Plano, San Antonio). Sold at the prepared food counter, this sweet, tangy, and crunchy salad is now a permanent part of my family’s holiday meals. The salad has inspired many copycat recipes, including this one from Hail Merry. 8. Pretzel bread from Tough Cookie Bakery (Bastrop and Dallas). This rich bread is great for sandwiches, though truthfully, I usually end up pulling off large chunks and find myself surprised that it’s all gone before I even got a chance to put avocado and tomato between two slices. For now, you can find Tough Cookie at farmer’s markets in Dallas and Bastrop, though they have plans to distribute to Austin soon. 9. Fruit kolaches from Sinfull Bakery (Houston). The kolache is one of Texas’s iconic foods, but no city embraces the kolache like Houston does. 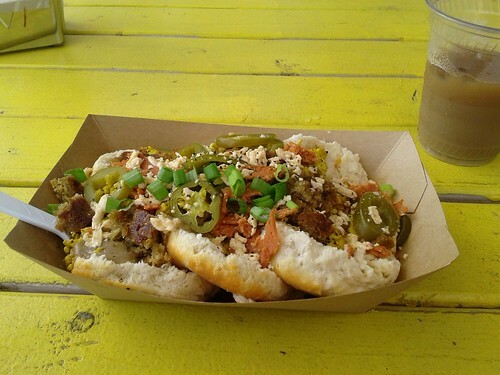 You’ll find kolaches filled with everything from migas to barbecue. So it’s no surprise that Houston has the first vegan kolaches. 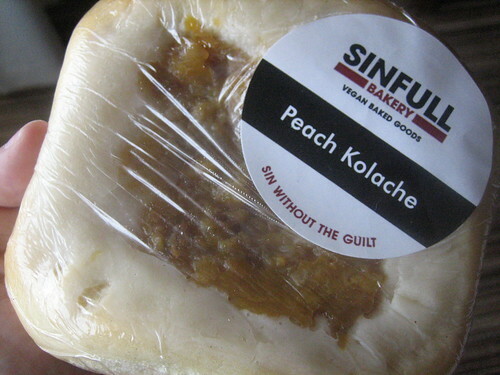 Generally sticking to more traditional fillings, Sinfull Bakery’s fruit kolache fillings are all homemade and often local and organic. 10. 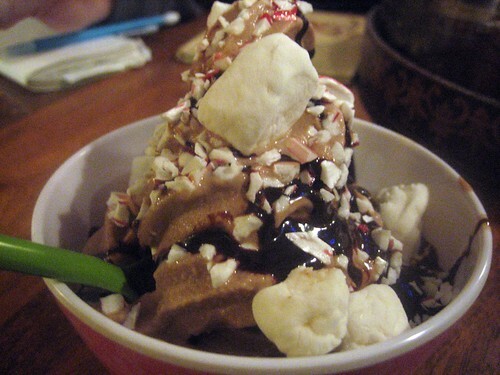 Sundae from Sweet Ritual (Austin). The ladies at Sweet Ritual make all their own syrups, and it shows in their sundaes. There’s nothing wrong with a milkshake or cone, but if you really want to get the full Sweet Ritual effect, start with a homemade waffle cone or bowl and end with a drizzle of salted caramel or chocolate sauce.